How old is the oldest written work where we have translated what is written on it in correctly that is verified? Sigh. I've tried writing that sentence in a way that is understandable and am having trouble, which is fairly ironic. I guess I'm looking for the current demarcation of prehistory to history, but from the standpoint of writing that we have successfully translated beyond "we know someone wrote these symbols, but don't know what they were trying to say." I've read the wiki page on prehistory and it says while in the past prehistory was 'that time before writing,' many historical scholars are moving beyond the writing and into artifacts. I'm currently interested in the oldest translated written works. The oldest "written work", in the sense of visual symbols with a modicum of abstraction from being mere pictograms, is from Egypt circa 3400 BC. "Oldest writings, and inventory tags of Egypt". (simple write-up here) There are tablets of similar age in Sumer. We can "translate" both, but it's not too hard as they are just one or two words. 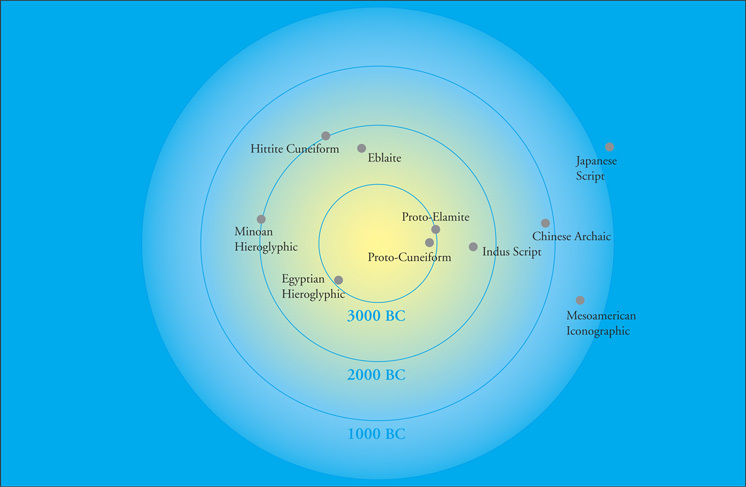 Various other 3rd millennium BC literatures are listed on Wikipedia. The oldest texts that have been successfully deciphered are from Sumer (Southern Iraq) and Egypt. In both countries decipherable writing begins around 2700 BC. Avery documents some of the oldest documents known, however, it should be noted that those examples have conjectural dates because it is hard to date the contexts accurately and the documents themselves are vague. The Pyramid Texts (circa 2400 BC) are in many ways the most notable old written texts, not only because they are in a datable context (the Old Kingdom pyramids themselves), but because the texts are extensive. Unfortunately the Pyramid Texts are of a mystical character, not historical, but nevertheless the use of sophisticated words and terms has given scientists much information about the earliest forms of Egyptian language. There are many ambiguities and question marks in the translation of both the Pyramid Texts and the Elamite/Akkadian texts, but the gist of them is known. There have been attempts to translate neolithic inscriptions (see for example "Ice Age Language: Translations, Grammar, and Vocabulary" by Dr. Robert Duncan Enzmann), but that would probably fall into the category of "unverifiable translations". I forgot the museum (maybe the Metropolitan of NY) where I saw a written text that claimed to be the oldest known. It was just a piece of archaic cuneiform that said something like " has given to me X amount of grain". Quite boring, but most oldest text are just for accountants. Not the answer you're looking for? Browse other questions tagged prehistory or ask your own question. What was the main diet of pre-agricultural Asians? Who is responsible for the oldest known calendar? What did early humans do with their long hair? What distinguishes the mesolithic period from neolithic and paleolithic? What do we know culturally about Cheddar Man?